The upcoming conference will be organized around the theme " COPD Today: Clinical and Research Issues". 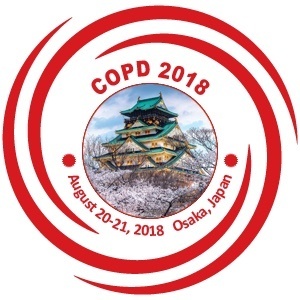 COPD 2018 brings together individuals who have an interest in the field of Respiratory and Pulmonary Disease relating to diversified topics like COPD, emphysema, asthma, cystic fibrosis, lung cancer, other pulmonary diseases and therapeutics. It is a forum to explore issues of mutual concern as well as exchange knowledge, share evidence and ideas, and generate solutions.